Nuruosmaniye Complex is part of the Tentative list of Turkey in order to qualify for inclusion in the World Heritage List. The complex, as mentioned already previously, should probably be an extension to the Istanbul WHS. It isn't even far from the main area of sites with a little touristy road full of shops leading you directly to the entrance. On first sight there is nothing special here. 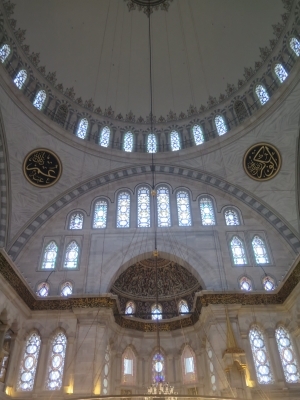 It is a relatively new mosque, 1755, built by the Osman family (thus NuruOSMANiye) with the typical minarets, signatures, ceiling prayers, mihrab, minbar and washing area outside. Whereas the mosque itself isn't special and you will feel that the Blue Mosque was ultimately better, there is more here although not all is accessible or still used for the same purpose. The sultan's pavilion can be seen from the outside, previously used to give the royalty a safe entrance to prayer in the sultan lodge. There are tombs outside of the mosque, a fancy fountain, and some other buildings (school, library) which are now closed or used otherwise. All of this is encircled in a large wall most people just use to cut through to get across. 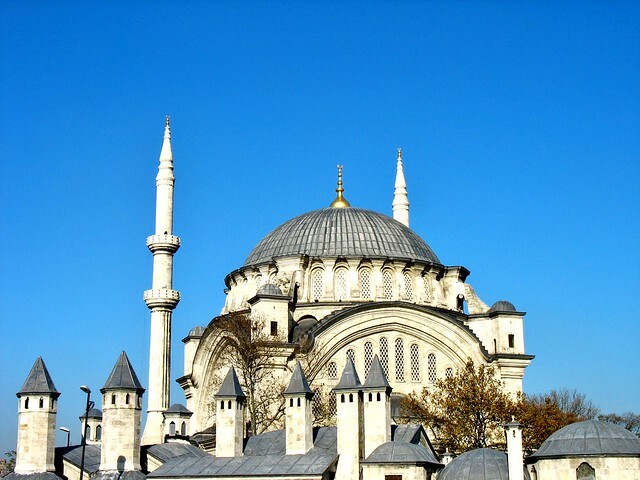 I cannot recommend seeking this out over all the other attractions Istanbul has to offer but if you attach it to your itinerary it should not take long to cover on your way. The metro and tram stations make it so easy to get around this lovely city. During my time wandering Istanbul in 2007, I spent much of my time on foot just exploring. 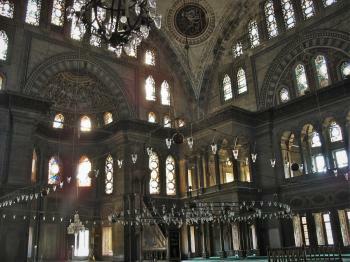 The Nuruosmaniye Complex is noted for its “Ottoman Baroque” architecture, something that I was oblivious to at the time. Yet, my first visit to a mosque is the key property to this serial nomination, so I remember it well. The Mosque is also stunning, it was particularly memorable because we were completely alone, even the lights were largely turned off. It did not matter, some designs and art can do that. Frankly, this first mosque I visited awed me in ways most churches never will. Where as so many churches are often dark and foreboding, this house of worship was filled with natural light. Countless bulbs strung across the interior of the mosque easily brought to mind just how brilliantly lit the space must be during prayer. After strolling the area, which is a vague memory at this point, the mosque stood out as special and something explored almost secretly. What more is there to see in Istanbul after the Hagia Sophia or the Blue Mosque, well I learned early in my trip, quite alot! I am pleased to see this nomination, but I am unsure about a few particulars. Is this not an extension? Its very close to the major inscribed areas of the Historic Areas of Istanbul WHS.